Regardless of the temps, we have a lot going on this month (Oh - by the way - Happy 2018!) so pull your calendar out and read on! Weird sonic fun from Clyde Moop. Check him out on Soundcloud and Bandcamp. Snacks from our neighbors at Amicci's Pizza. Beers from our buds at Axle Brewing Co. and a crafty custom cocktail from Our/Detroit Vodka. 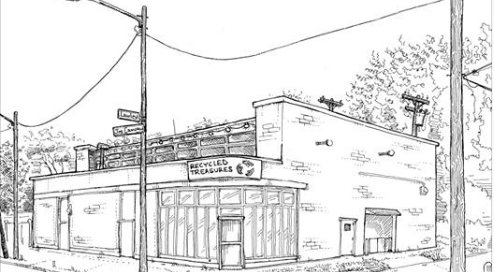 10% off all sales will benefit Recycled Treasures, one of our Hamtramck neighbors who is currently raising funds towards a new, larger home. This organization operates a household resale shop that benefits the most vulnerable in our community. November's Happy Hour raised $108 towards Support the Girls - Detroit; December's raised $73 for No Good Girls Allowed Detroit! All of our holiday sales are being held over, so eat, drink, shop and be merry! 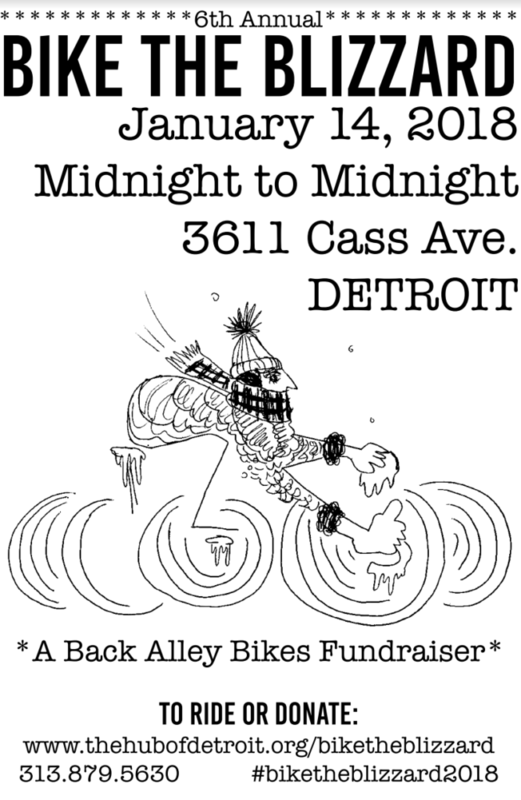 Bike the Blizzard / Jan 14 / Midnight to Midnight: BtB aims to raise $20,000 in support of Back Alley Bikes. We aim to help! The shop will be open as a warming station from noon to 6pm. We'll have chili (venison and veggie), hot cocoa, tea and coffee, so we encourage all riders to stop by for a few. We'll also be riding! To support us supporting BAB, donate HERE. 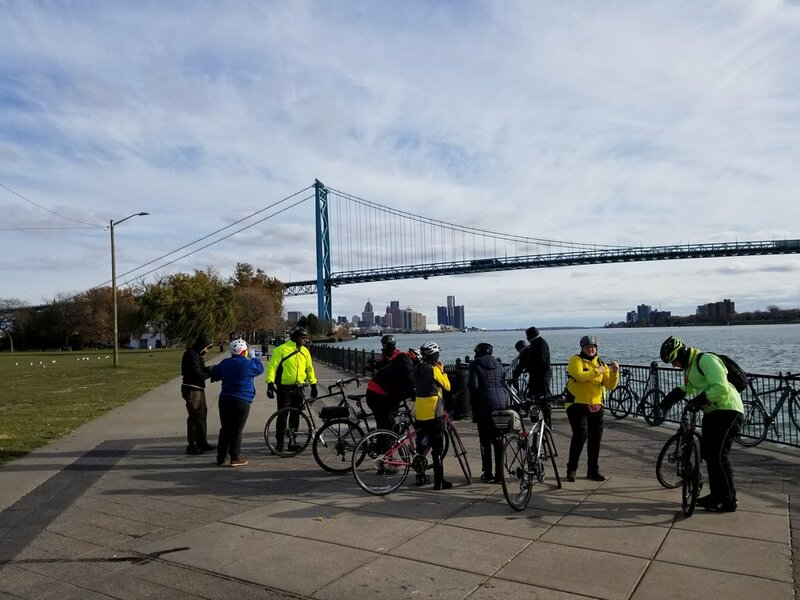 MLK Ride / Jan 15 / 10am: This ride celebrates the legacy of Dr. King and the spirit of his "I Have A Dream" speech first delivered right here in Detroit in 1963. It's a 10 mile free ride, but registration is required. You can do so HERE. We'll be riding as sweepers to assist any riders in need of assistance. If you're interested in joining the support crew, hit us up at info@wheelhousedetroit.com. 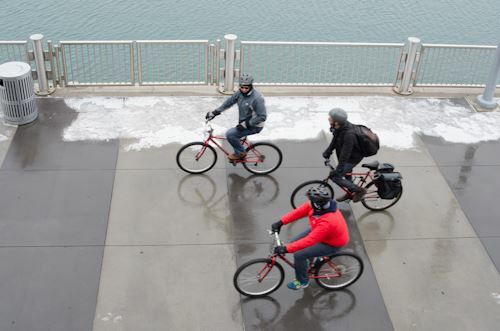 Winter Joy Ride / Jan 20 / 9am: Meet up at Wheelhouse Detroit - Hamtramck for a 9am ride start. We'll go anywhere from 12 to 20 miles depending on weather and conditions. The shop opens at 11am, so there's a hard end-time that you can count on. This is a no-drop ride, helmet and spare tube recommended. WINTER TIME = TINKER TIME - There is no better time than the colder months to work on your bike. That's why we've been offering a Thursday series all winter long! January has 4 Thursdays, so we've got 4 sessions for ya! Bicycle Maintenance 101 / Jan 4 & 18 / 6-8pm: At these woman-led classes, you'll first learn how to change a flat, about tire and tube sizes and air pressure. We're more than happy to adjust to your needs however, so, if you want to learn about gears or brakes or road safety or layering or anything whatsoever, that's what we're here for! We recommend you bring your bike so that you can familiarize yourself with it but, we've got plenty of bikes you can borrow if needed. Open Shop Hours / Jan 11 & 25 / 6-8pm: Bring in that project bike. We'll share our stands and tools and some knowledge but you get to do all the work yourself!